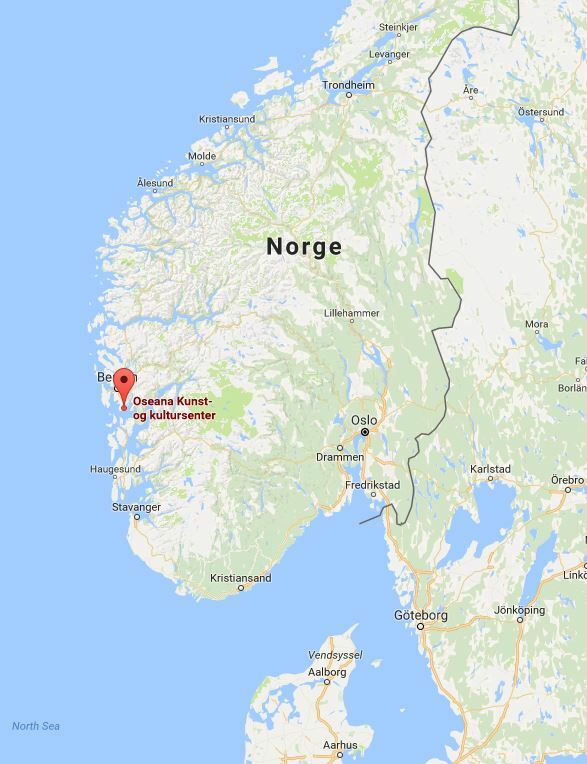 Oseana Arts and Cultural Centre is located at Os (60.18°N, 5.47°E) close to the city of Bergen in West of Norway. An overview of the building site is shown below. This signature building is designed for high architectural quality and optimal energy and environmental solutions. The ‘solarsail’ shape of the south-facing front facade consists of PV modules and classifies as a building-integrated system. 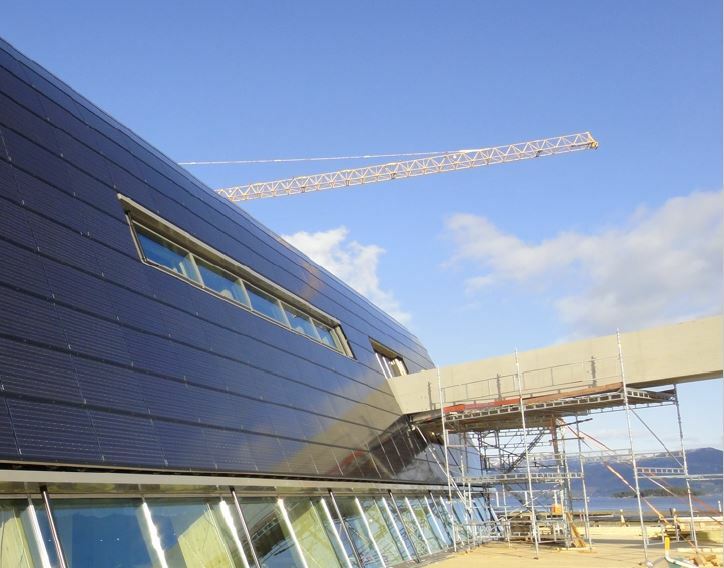 The BIPV facade construction consists of insulation (thickness 39 cm) and an airgap (11 cm) behind a waterproof membrane, with another airgap (16 cm) beneath the outer PV shell (4 cm). 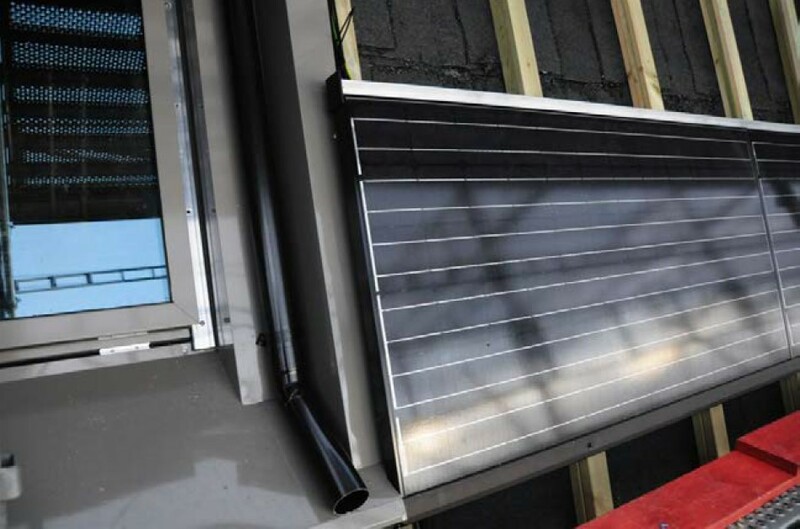 This design allows air circulation behind the PV panels, which helps to limit the temperature increase, and hence efficiency drop, during operation. 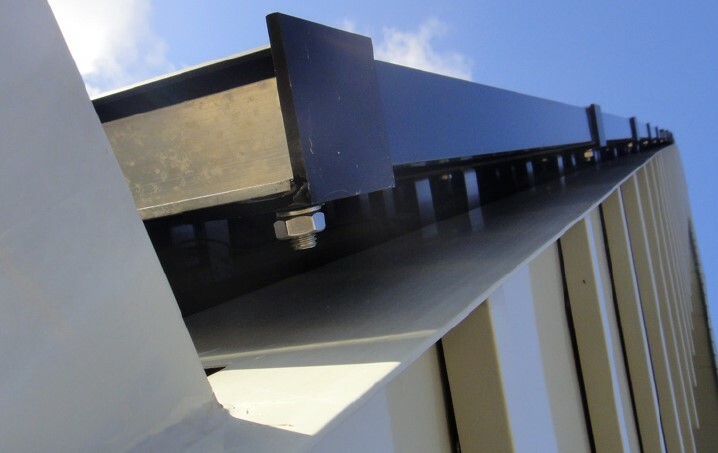 The panels are of standard size and weight, but with special mounting brackets to allow sideways adjustment and necessary radius at the curved transition from wall to roof. Aesthetical integration was ensured by using panels with an even black appearance, black aluminium frames, and window design with a matching shape. 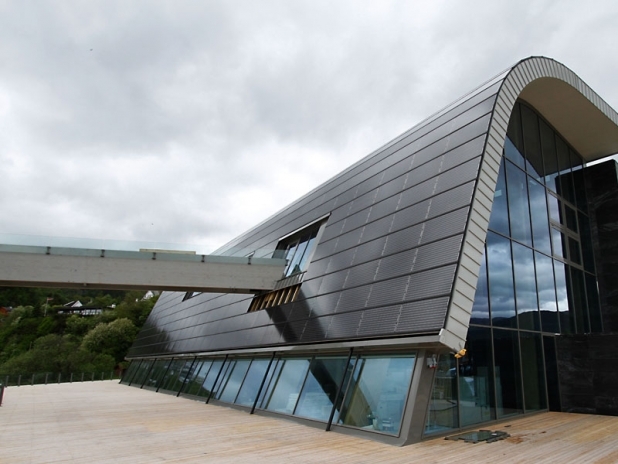 Several lessons were learned from this ambitious first Norwegian BIPV project. The panel type was at a late stage in the building process switched to a higher efficiency panel for architectural reasons. This meant fewer panels than in the original contract, and the whole system lay-out had to be changed. 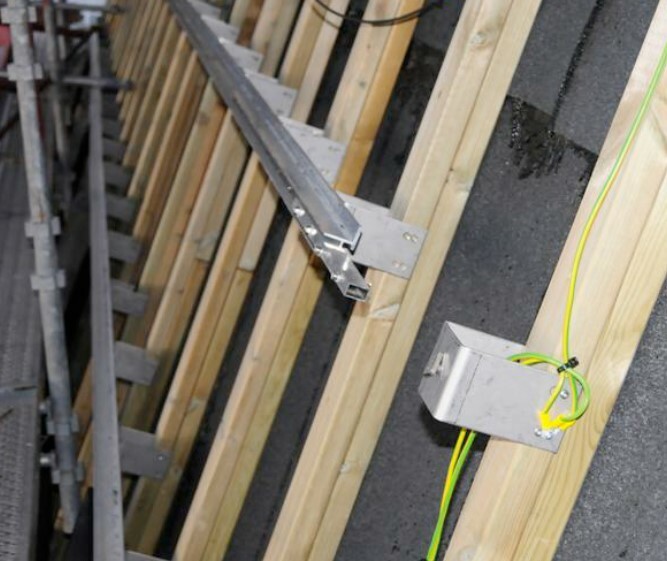 During the installation phase, small deviations in the as-built measurements caused some headache. The dimensions should be double-checked on site to avoid surprises during panel mounting. A recommendation is to build in some flexibility that can handle deviations. 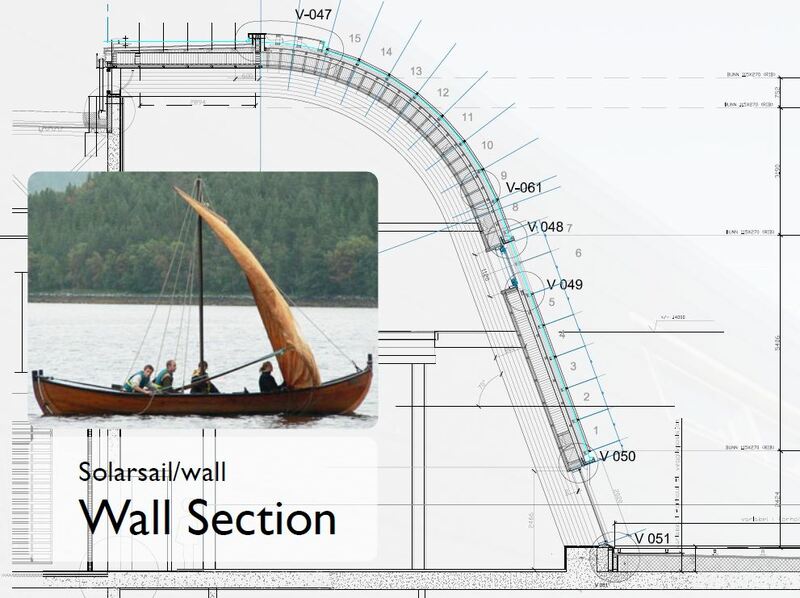 Access to the building wall was challenging due to the curved building shape and its location next to the waterfront. This required full scaffolding and emphasis on safety routines. The time of year for the installation period was also difficult, with winter snowfall and icing of components slowing down the work. The system is not instrumented for collection of detailed monitoring of electricity production or weather data. PV production may be analyzed based on available data from the inverters. 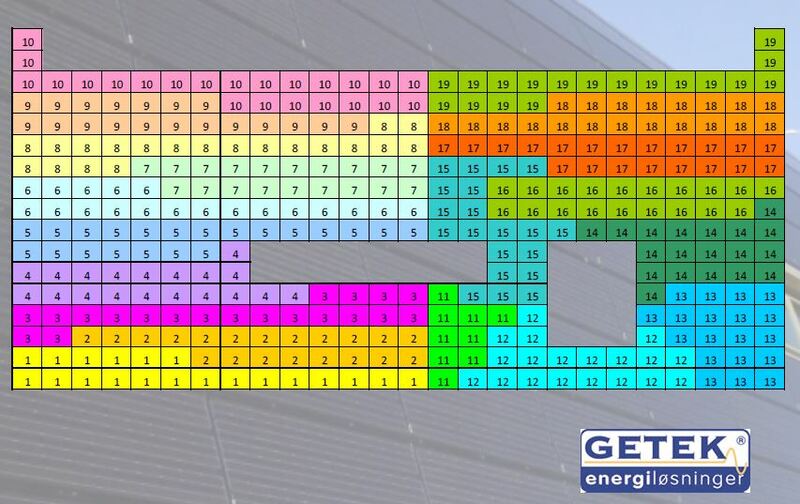 Irradiation data may be collected from a nearby weather station in the attempt to estimate system efficiency and performance ratio, however, such calculations are uncertain and complicated due to the shape/orientation of the BIPV system, the influence of partical shading from parts of the building, and the lack of local sensor readings. 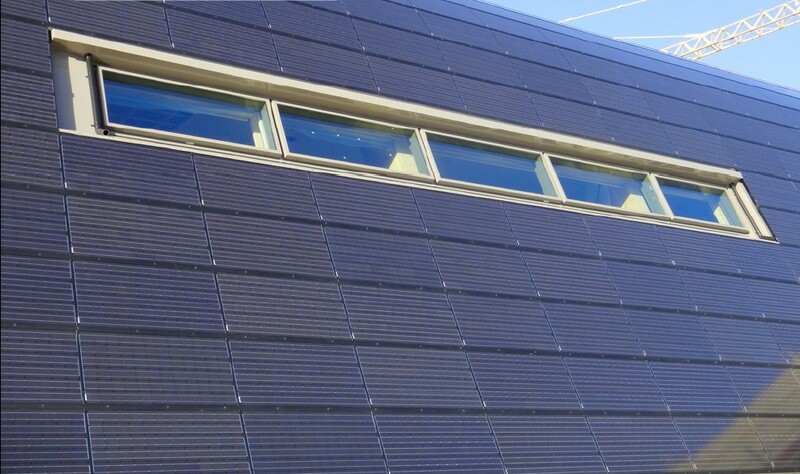 The Oseana BIPV system consists of 463 m2 building integrated mono-crystalline solar panels (13.7 % efficient); in total 363 panels with no dummies used. The panels replace other exterior cladding on the building. The total installed capacity is 63.525 kWp. The system supplies 15-20 % of the annual electrical consumption, and has been in operation since June 2011. The PV string-layout was designed around the architectural features in the facade, i.e., a front entrance bridge and the specially adapted windows. Four years of production data shows an average annual specific yield of 800 kWh/kWp, which is around 20 % higher than original estimates from the system supplier. This deviation can be partly explained by too conservative irradiation data used in design simulations, compared with the actual solar resource. 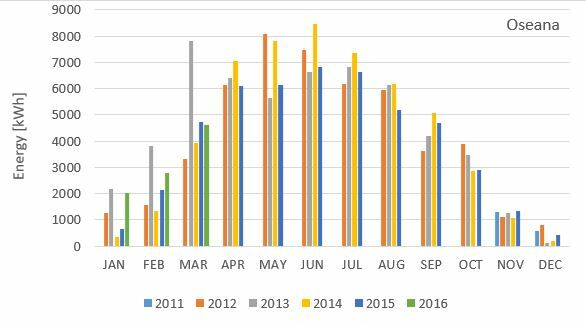 The figure below displays the monthly production (AC from the inverter) of the PV system at Oseana. The table gives the annual production and specific yield based on the collected data. The outliers (e.g. mar-2013) are currently under investigation. 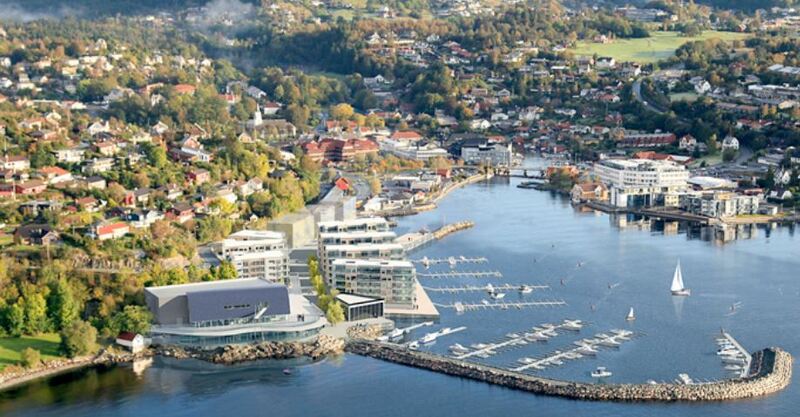 The Oseana project was developed by and received support from both private and public bodies, including Os Kommune, Enova, and Grieg Architects. For more information, visit the webpage Oseana Kunst & Kultursenter.